The retail version of Euphoria includes all items listed in the “Every Copy of Euphoria” section of the following diagram. 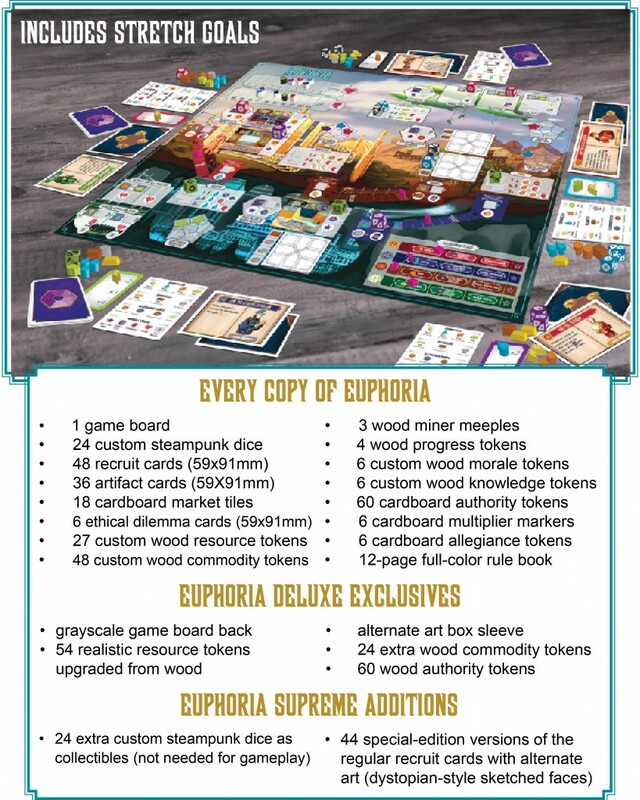 Please note that the deluxe and supreme versions of Euphoria have different resource tokens than the retail version–they do not have both versions of the resources (gold, stone, and clay). I just opened my copy of Euphoria and noticed that I do not have the 6 knowledge tokens. Could you please send them to me. Thanks!